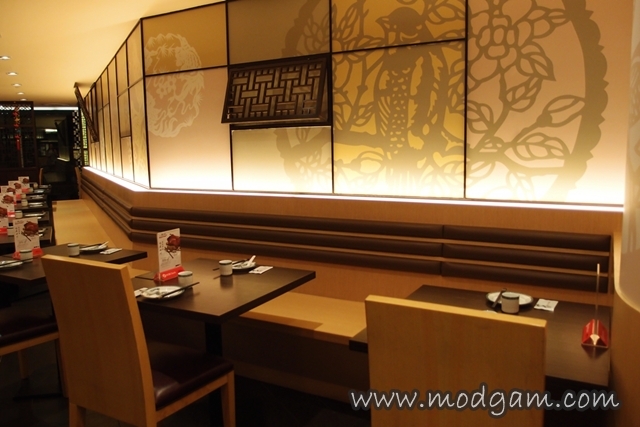 The Creative Eateries Group has too many awesome restaurants under them! I was blown away by ROCKU and Suki-ya, super drool worthy and today I was introduced to Xiao La Jiao Sichuan Cuisine! 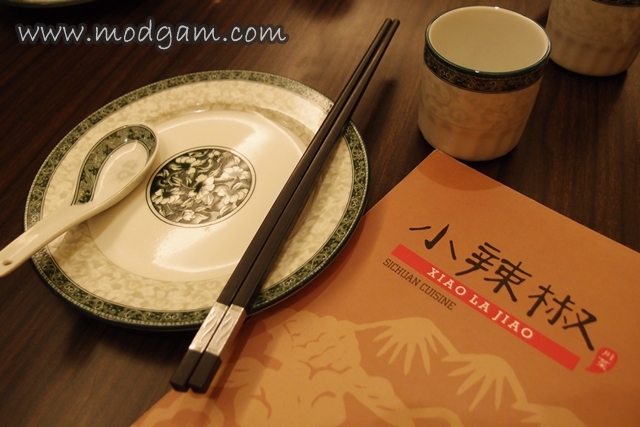 The word Xiao La Jiao means “Little Chilli”, direct translation, and I was really quite worried for I am not really a chilli eater. 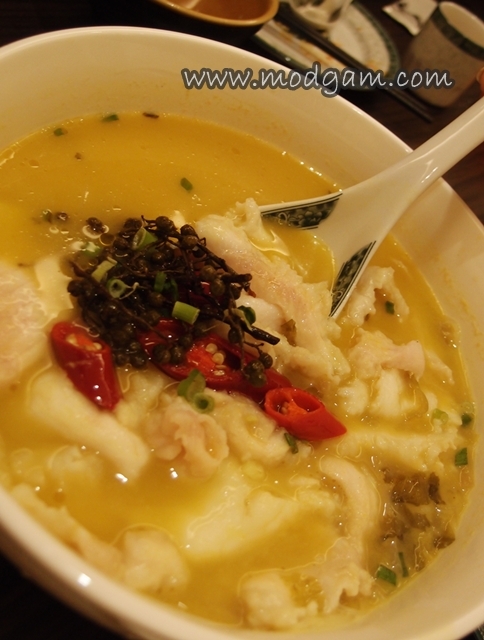 BUT having tasted both ROCKU and Suki-ya, I am pretty sure Xiao La Jiao Sichuan Cuisine will be equally awesome! Furthermore, I like exploring and trying. 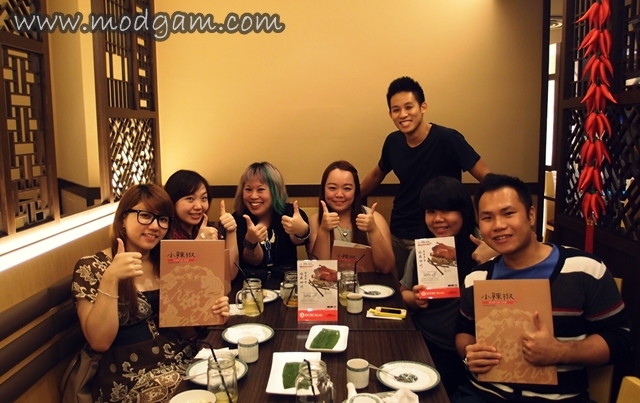 With the bunch of fun bloggers that night! Took this picture from Melvin’s Blog post. 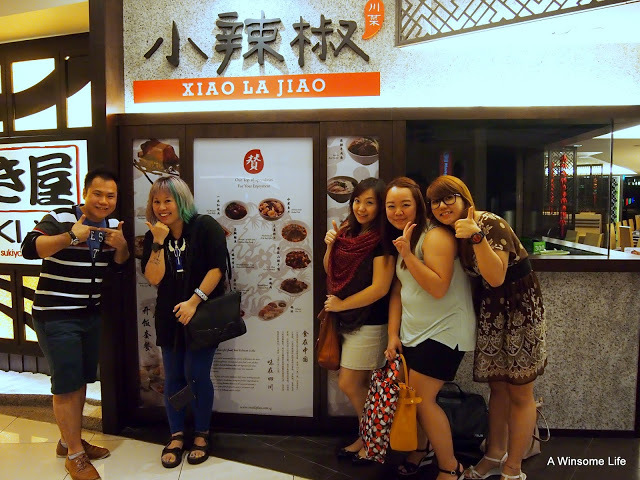 Xiao La Jiao Sichuan Cuisine @ 112 Katong Mall recently launched a brand new menu with exciting new items like Camphor & Tea Smoked Duck, Husband & Wife Beef Offal along with many other classic Sichuan dishes! 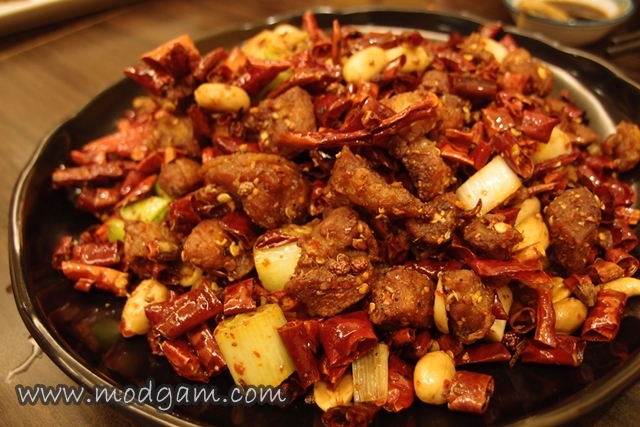 Sichuan’s chefs are legendary for their ability to combine a huge variety of tastes such as sweet, sour, bitter, hot, salty, aromatic, fragrant and numbing into exquisite compound flavours.I am excited to start my Sichuan food journey! 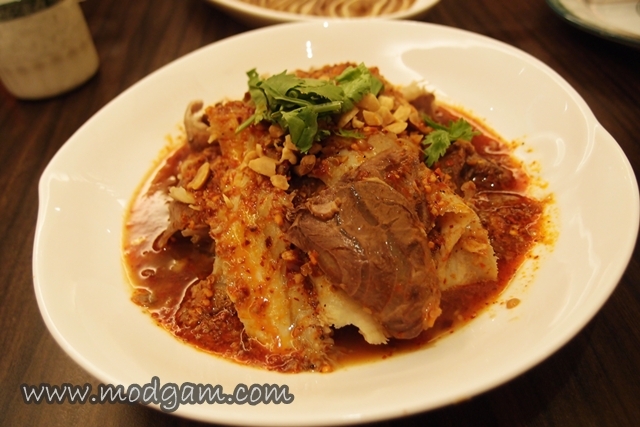 Husband & Wife Beef Offal with Spicy Sauce – too spicy for me yet I couldn’t resist and had 2 slices of it. A must have for all beef lovers! 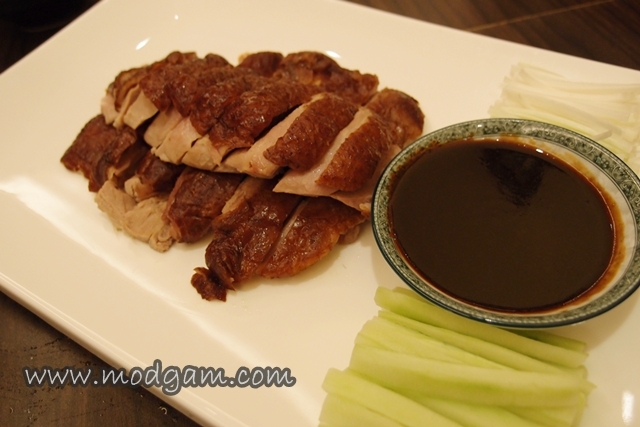 Camphor & Tea Smoked Duck – I am no fan of the duck cos of the aftertaste but this is so delicious! Isaac, the marketing manager, was explaining to us that it takes the chef 26 hours to smoke the duck thus the tenderness and nice flavoured taste. 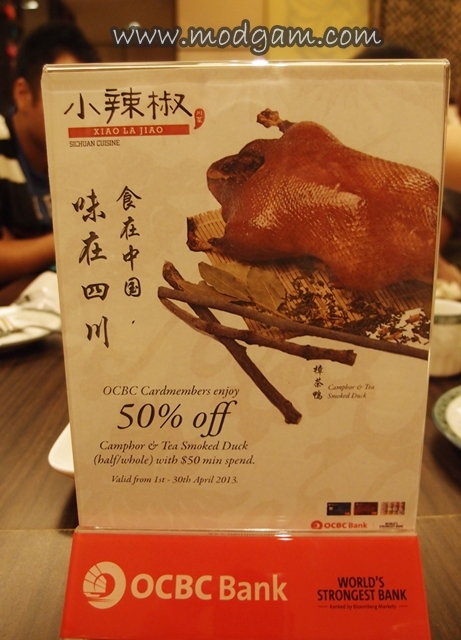 If you’re an OCBC Cardmember, you’ll get to enjoy 50% off this dish with a minimum spend of S$50! Valid till 30 April 2013. 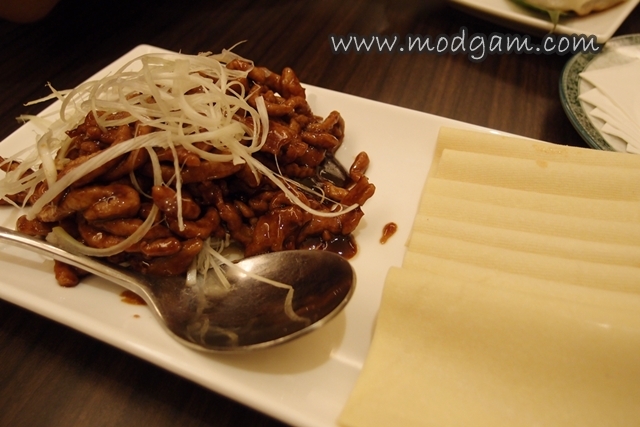 Pork Strips in Sweet Bean Sauce – another of my favourite for the night! Love the sweet pork strips for its really very tasty! 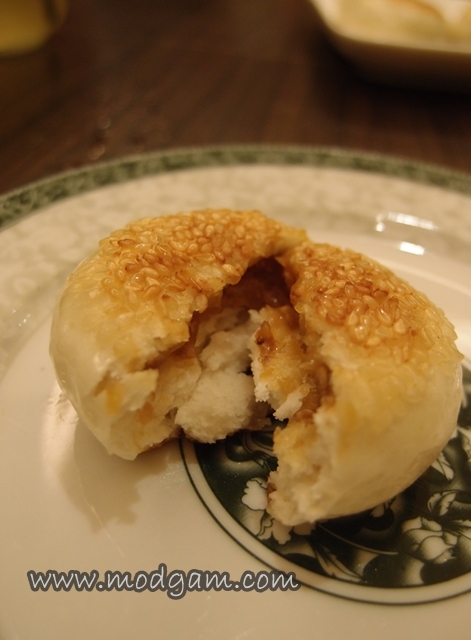 You can wrap it on the bean skin and roll it up like a popiah and eat it! Sichuan Fish Slices with Pickled Greens – I like the slight sourness to this dish for it has that Shanghai-veggie-like sour that my mum used to cook for us. The fish slice is really fresh too! 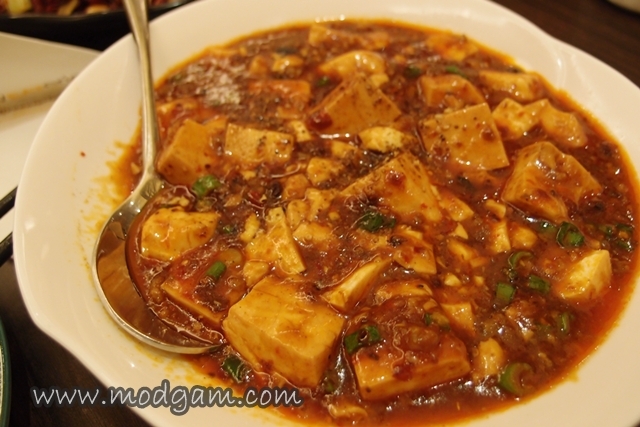 Sichuan Ma Po Tofu – Authentic Ma Po Tofu and eat it together with corn rice, YUMMYLICIOUS! A must try! 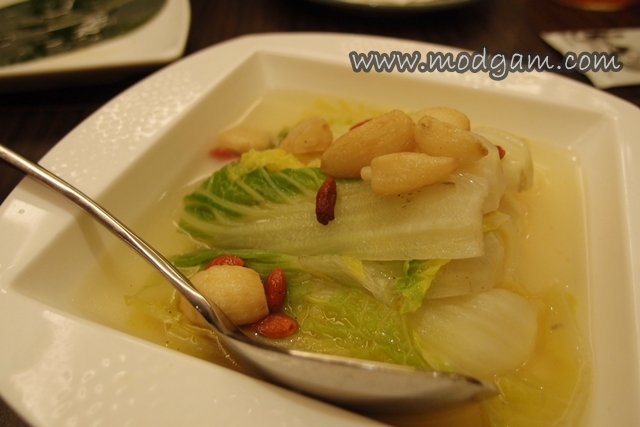 Cabbage with Rich Broth – Light and refreshing dish. 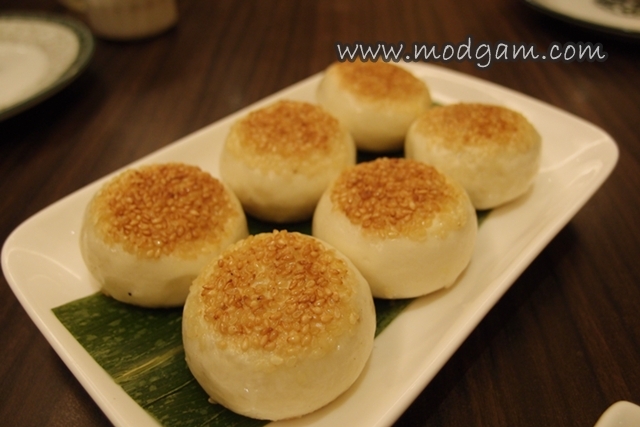 Sichuan Guo Tie – Looks are deceiving and don’t be deceived by the plain white outlook for it is filled with very juicy meat! Yums! 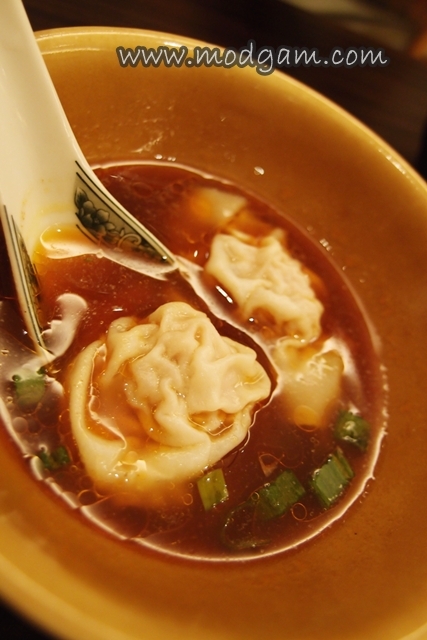 Sichuan Wontons with Spicy Sauce – the spicy sauce doesn’t kick in till you had the 2nd or 3rd sip! 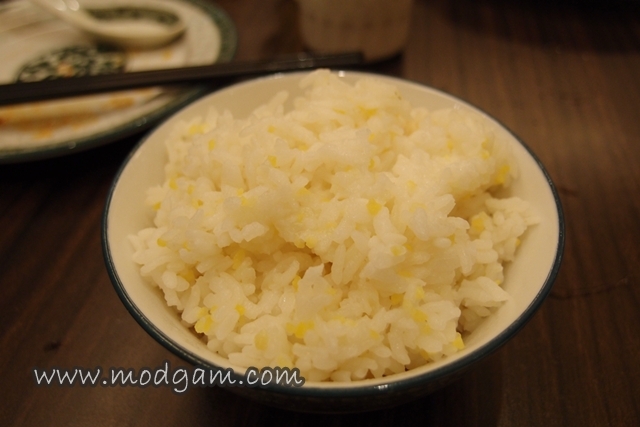 Though that, it is really tasty and I braved and finished the delicious soup! 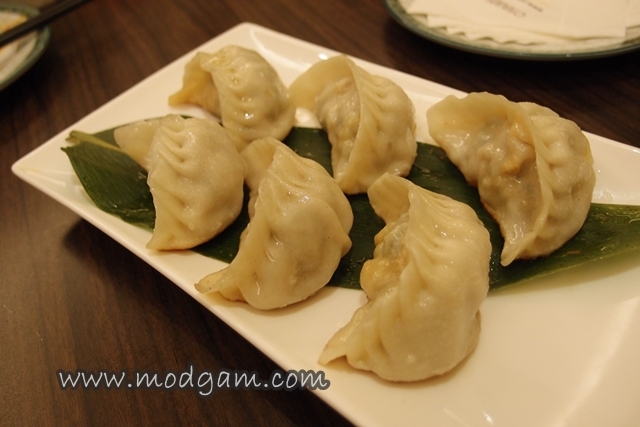 Rainbow Dumplings – each color is filled with different fillings and taste differently. 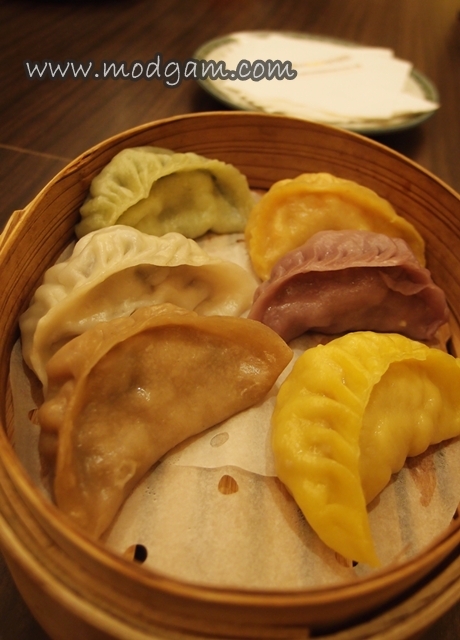 You can choose a favorite filling or order an assortment of rainbow dumplings. Sichuan Waxed Pork Soup – This pork soup is light but the nice salty pork strips gives the soup an extra flavor. Perfect blend. 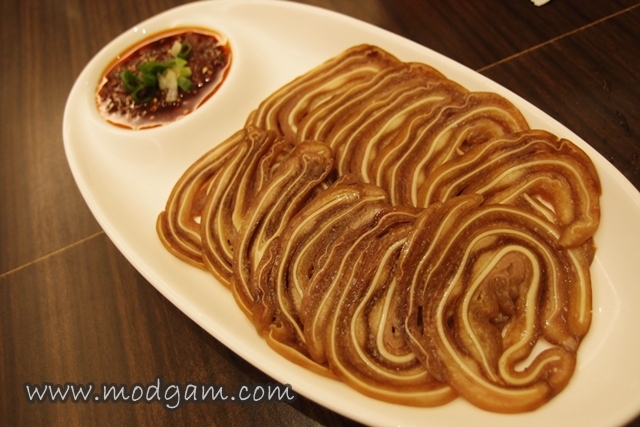 Sichuan Pumpkin Pancake – dessert is finally served! 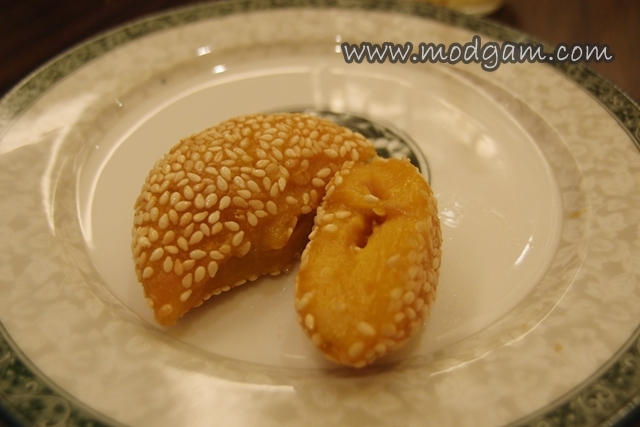 I love sesame and this is something new to me for I have never tasted this before. Chewy and taste pretty good. 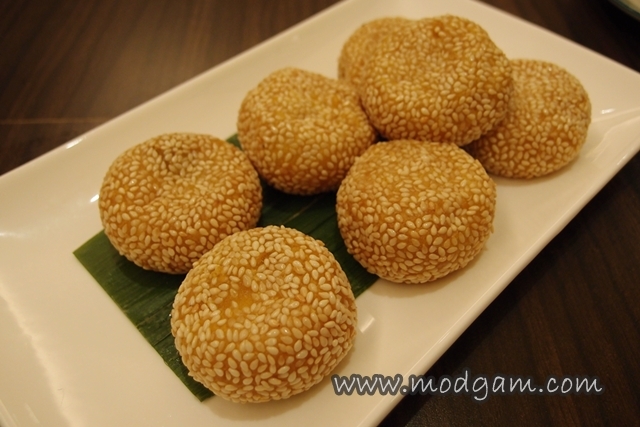 Mixed Sugar Guo Kui – this is my favorite dessert maybe because its sweet? I really like sweet taste and I would definitely order this again. Thanks for the great meal Isaac! We had a great time and learned so much about Sichuan and its gourmet dishes! Stay tuned for I have food vouchers from The Creative Eateries Group for my upcoming 1yr blogoversary international giveaway! 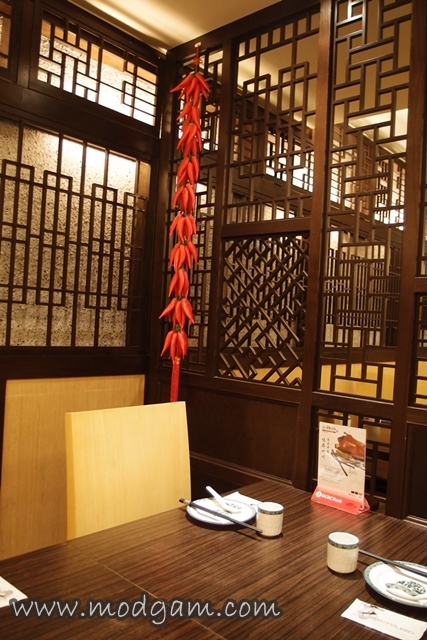 You will be able to dine in any of the 9 outlets across Singapore including Xiao La Jiao Sichuan Cuisine @ 112 Katong Mall! Amazing right?? LIKE Modgam FB Page so you won’t miss any updates ya?